Nokia today announced its newest member in its already long line of Asha devices, the Nokia Asha 501 at a live event held in New Delhi, India. The latest entry in the Asha series caught a lot of eyes mostly because of its sleek and sturdy design with some people even going at lengths to even comparing the shape of the Asha 501 with Nokia’s Lumia range of Windows Phone devices. The device is expected to hit stores sometime in Q2 and is available in bright red, bright green, cyan, yellow, white and black color variants. The phones which come with matching colored headphones give a little more funky look specially for those who prefer to do a little styling and profiling with not only their clothes and the way of living but also through their smartphones (no pun intended). The Asha 501 is powered by a new software platform, which fully leverages Nokia’s investments in Smarterphone, which it acquired in 2012 and builds on the best aspects of Series 40 to create something fresh and innovative. The result is an evolutionary operating system that is fast, responsive and easy to use. The Asha platform is faster, more responsive and more flexible too. This means new features and functionality can be anticipated with future updates. 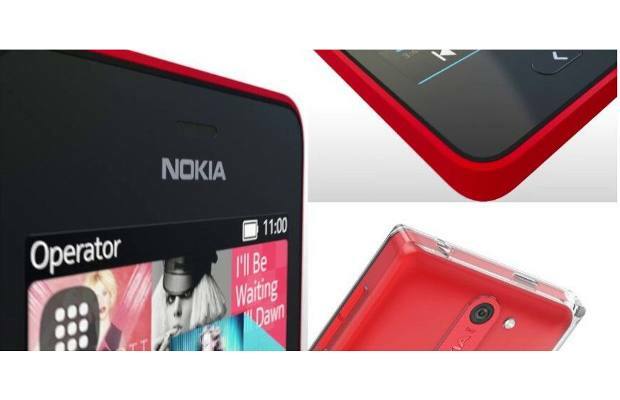 There is a good news for developers as well who will be able to create apps for the Nokia Asha 501 that will also be compatible with future Asha platform-based devices. The forward-thinking approach to the Asha 501 extends to the user experience. At its heart is a landmark new feature called Fastlane. Inspired by the much-loved swipe motion gestures on the iconic Nokia N9, Fastlane makes it faster and easier to access whatever is most important to you. Whether it is the applications you use the most, the latest images you’ve captured or your social network updates, Fastlane is designed so that you’re never more than a swipe away. Think of it as intelligent multitasking, or think of it as an interactive second home screen. Either way, Fastlane tracks your past, present and future, showing up to 50 of your most recent activities. It brings all the different elements of your smartphone experience together. In just a few short years, more people will be accessing the Internet on a mobile phone than any other kind of electronic device. This is why the Asha 501 continues Nokia’s focus on the ‘smarter Internet’ with an updated version of the Nokia Xpress browser with a fresh new user experience. Of course, it still uses cloud-compression technology to reduce data by up to 90 per cent, making it both faster and cheaper for people to get online. Straight out of the box, you will get access to Facebook, Twitter, instant messaging and Weather Channel apps installed, together with premium games from Gameloft, such as Big Little City and Real Football 2013. There’s also the now-legendary offer of 40 Free EA Games for you to download and keep forever from the Nokia Store. The Asha 501 will be the first Nokia device at such a low price point to use a micro-SIM. Furthermore, it will come in a single-SIM variant and a Dual-SIM version with Nokia’s unique Easy-Swap SIM technology, which allows people to switch SIM cards without having to power off the device. It features a 3.2-megapixel camera, WiFi, a lock screen with a glanceable clock and the 3-inch capacitive screen is made out of hardened glass. There’s 4GB of internal memory and support for a micro-SD card up to 32GB. The battery life offers an incredible 48 days in standby and 17 hours of talk time that means you could talk from 7am to midnight non-stop !! Now that’s impressive. The Asha 501 is stated to arrive sometime in June or July with an expected retail price of $99 (before additional taxes and subsidies). We have all been saying since quite some time now that since a last few months, Nokia has been trying to re-vitalize its name and with most recent successes with its Lumia and Asha series, its safe to say that the Finnish company is heading in the right direction. Do let us know what you think about the new device and if any of you happen to get your hands on it then do share in your experiences with us.